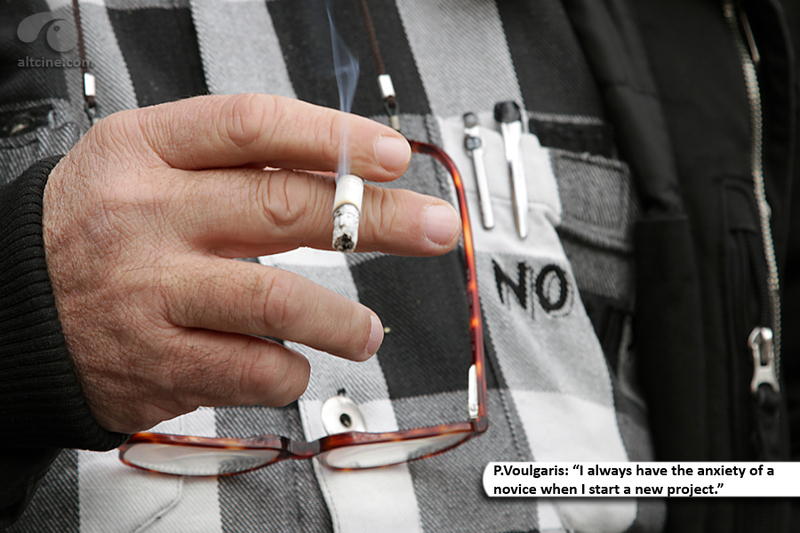 Pantelis Voulgaris chose to work with the minimum amount of people needed to pull these first shootings through. 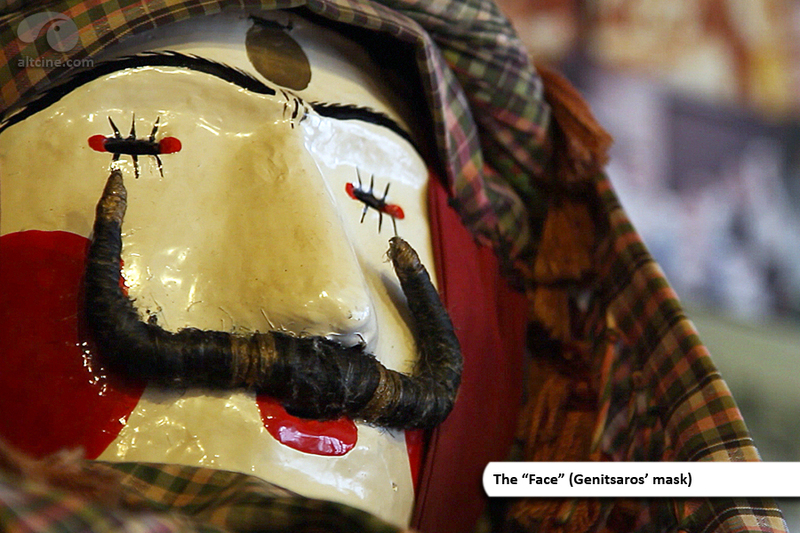 The event “Genitsaroi & Boules” is celebrated during two consecutive Sundays with the dancers wearing their masks. 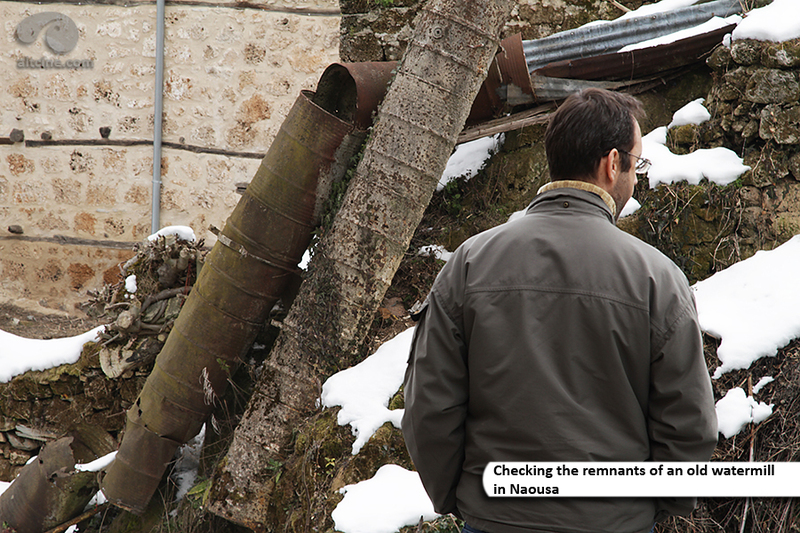 Mr. Voulgaris wanted to be absolutely sure he wouldn’ t miss anything, despite the fact that he knew he’d have a second chance to grasp the material he needed while in Naousa. 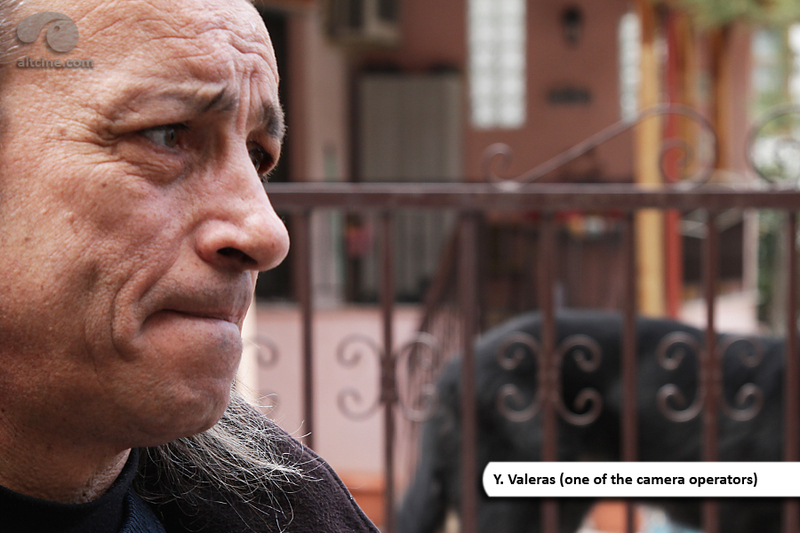 The selection of a director of photography with expertise in documentary filmmaking, who’s at the same time capable of capturing pictures that “carry” cinematic quality and aesthetics, was a one way road for Mr. Voulgaris. He needed someone able to effortlessly “coexist” in both staged and verité cinematography conditions. 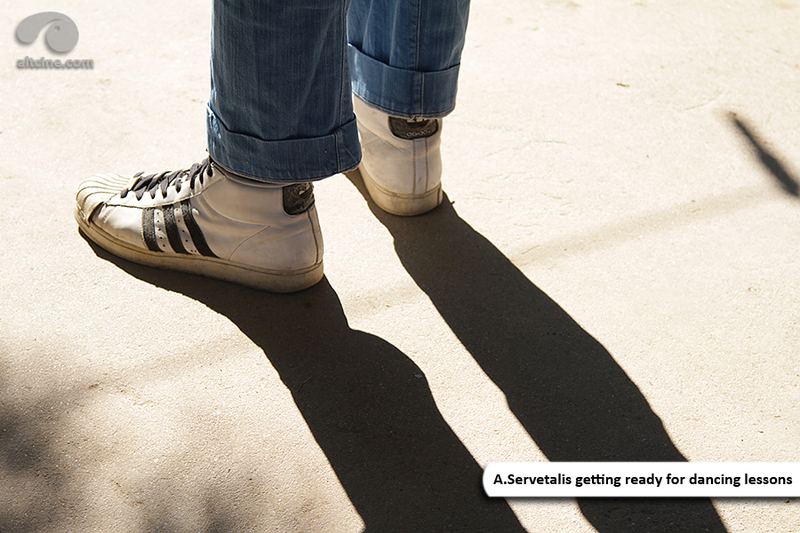 The decision was swift and easy...Nikos Kavoukidis was the perfect match for the task. 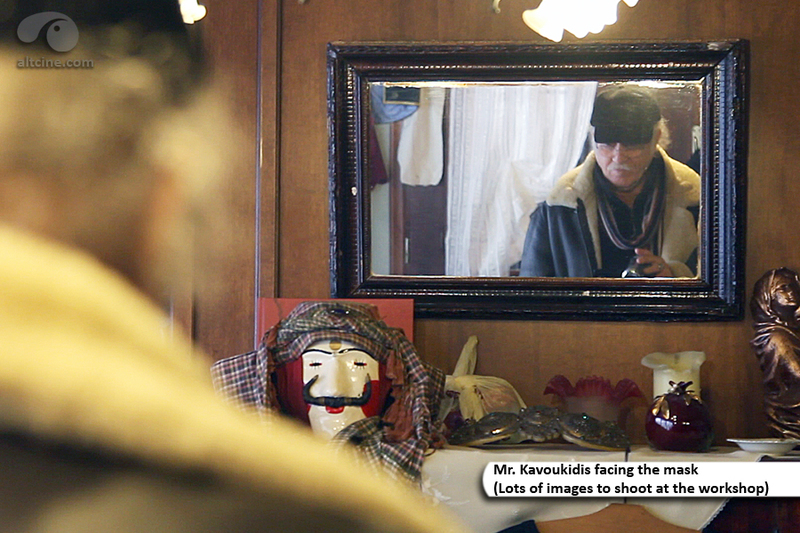 A tireless lover of cinematography with tons of awards to prove it! 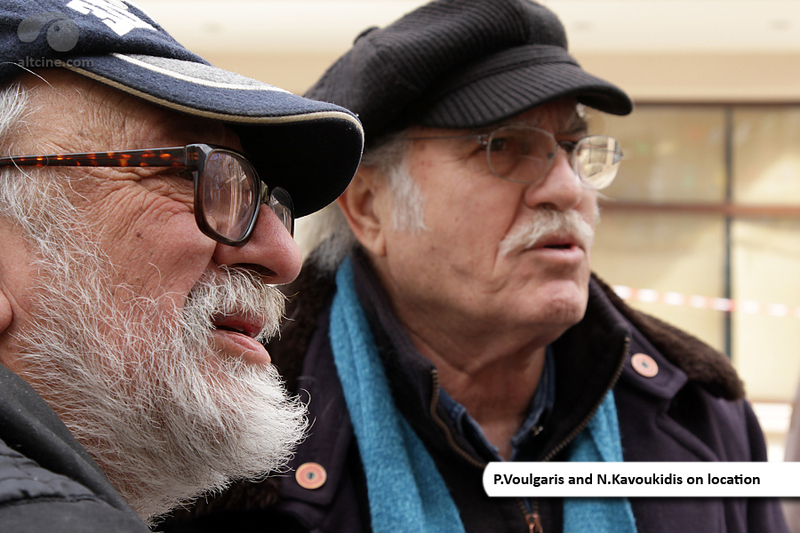 Nikos Kavoukidis’ and P. Voulgaris’ relationship goes way back in time, with a strong friendship uniting them since they both started working for Finos Film. 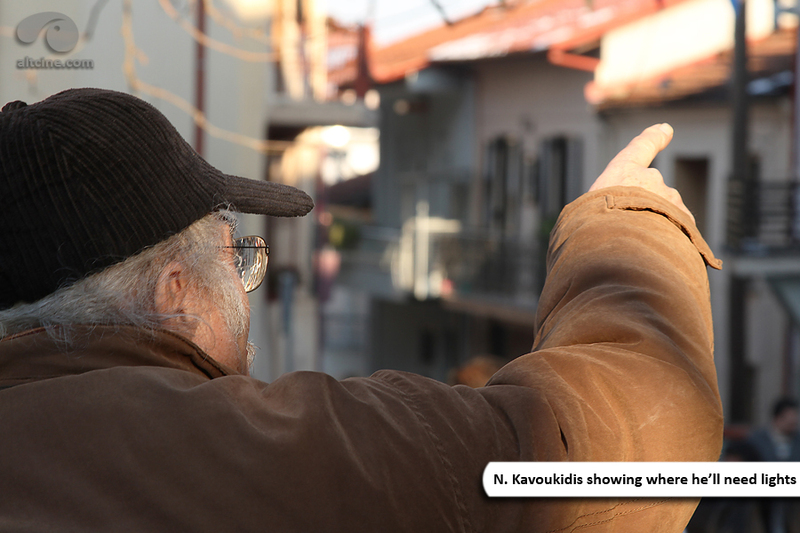 Mr. Kavoukidis was actually the film editor of Mr. Voulgaris’ first short movie (The Thief, 1965) and the cinematographer of his first long format fiction movie (The Engagement of Anna, 1974). 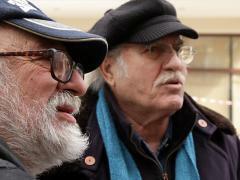 They ‘ve also collaborated in several documentaries including “Ce n΄est pas que le début” in 1969 and “The Dance of the Goats” in 1971. 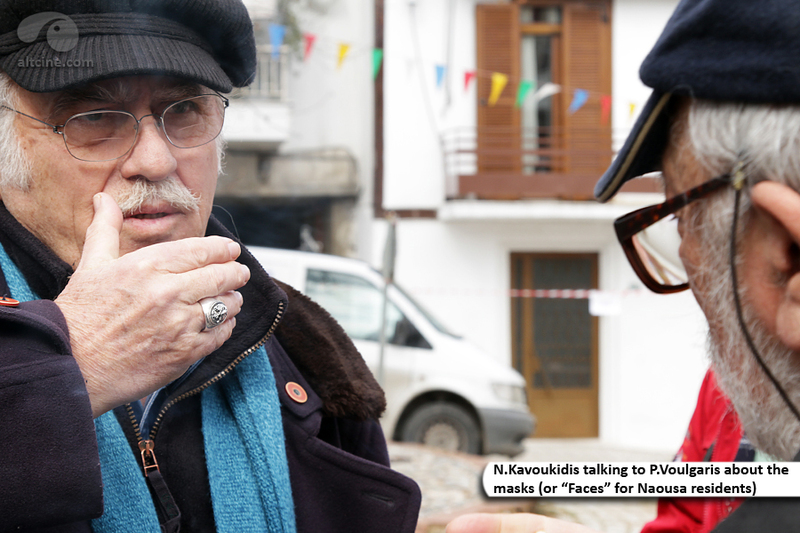 Listening to their filmmaking stories, while in Naousa, was a real joy...with a bittersweet nuance of good times long gone I might add. 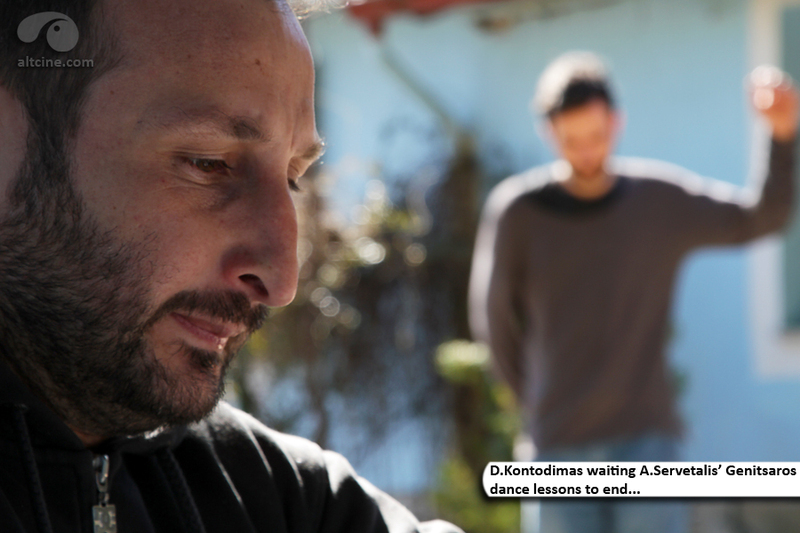 Besides Mr. Voulgaris and Mr. Kavoukidis, the crew consisted of two very experienced camera operators, Alexandros Lahanokardis (Mr. Kavoukidis’ current and long-time trusted assistant) and Yannis Valeras (a cinematographer who has worked alongside Mr. Kavoukidis in several productions including “Byron, Ballad for a Daemon, 1992” and “The Ash That Remains, 2008”). 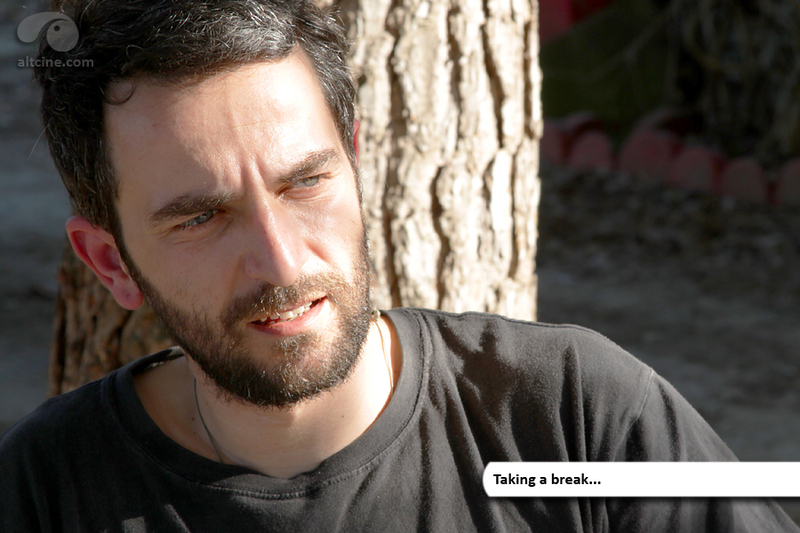 Stefanos Efthimiou was once again in charge of the sound recordings (Mr. Voulgaris’ collaborator in his previous movie “With Heart and Soul, 2009”). 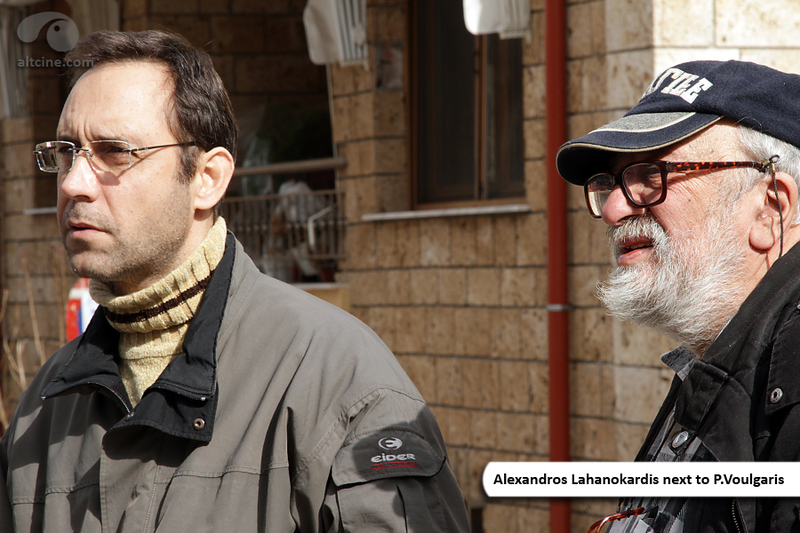 Yannis Karadanis took over the difficult task of production management with his assistant Dimitris Kontodimas. 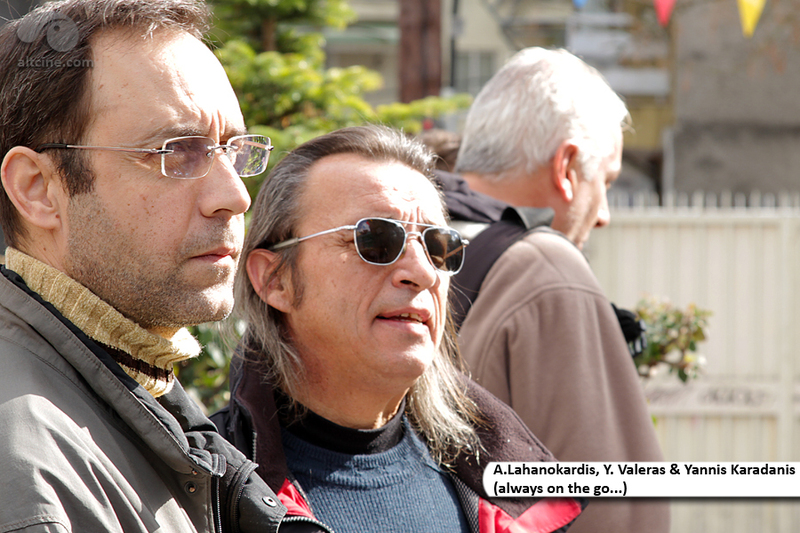 Both assistant directors, Vaggelis Rigas (1st) and me (2nd), are Mr. Voulgaris’ former students. Vaggelis was assigned with the “traditional” tasks of an assistant director, whereas I multi-tasked switching between several “duties” whenever needed. 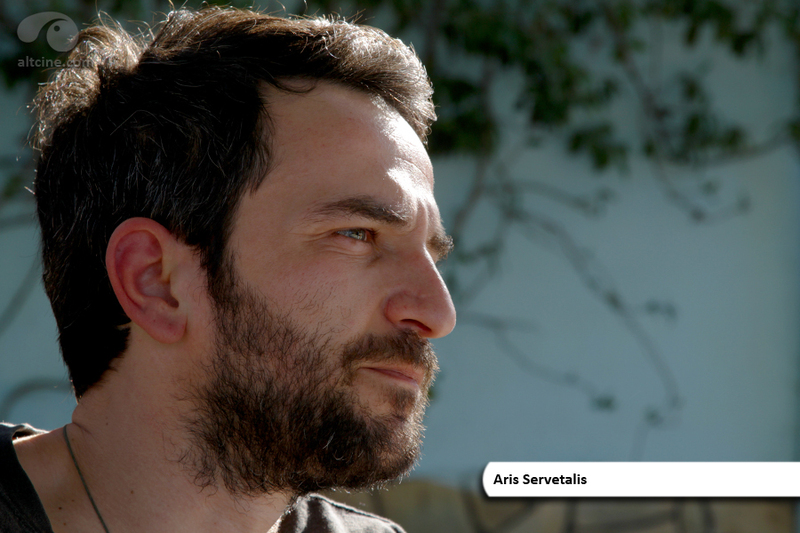 For the time being, the only certain name is that of Aris Servetalis (the leading actor of the 1st part of the movie). A well known approach of P. Voulgaris concerning the secondary characters in his movies, is finding and using “real & authentic” people, he frequently stumbles upon when scouting for shooting locations (e.g. With Heart and Soul, 2009). 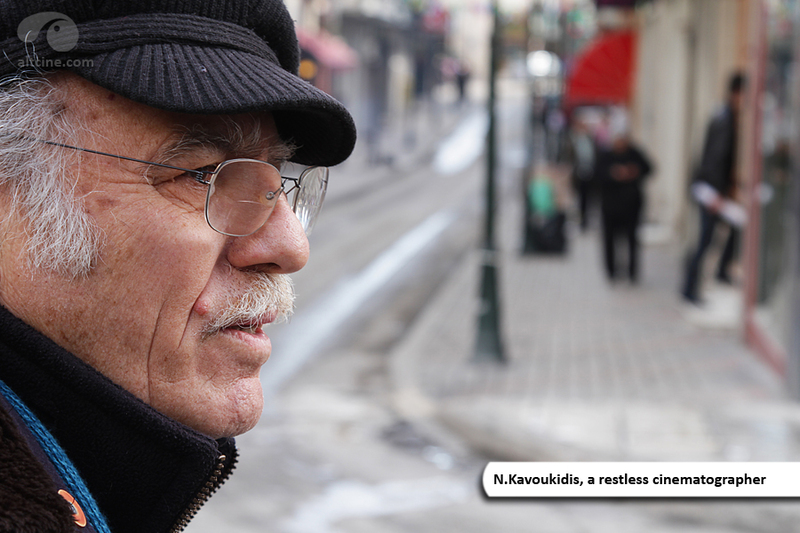 During the days that intervened between the two Sundays we were shooting, we had the time to meet and get to know people (Naousa residents) that Mr. Voulgaris could use in his movie. 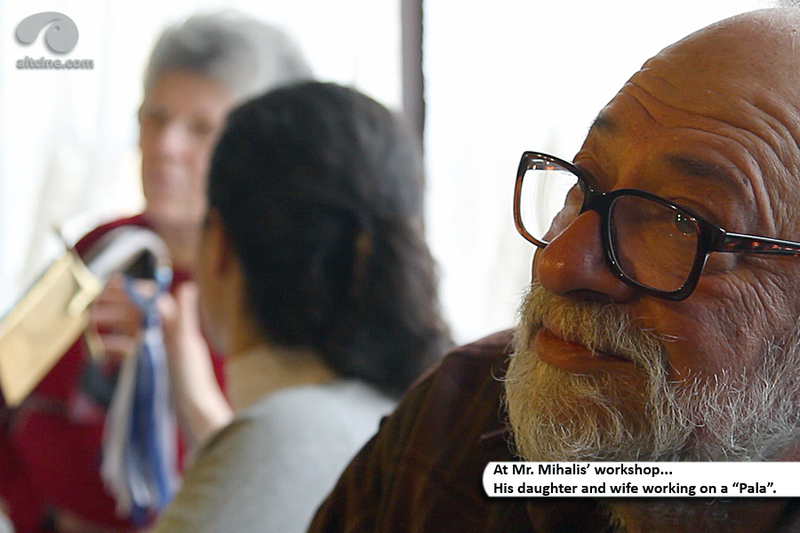 Mr. Mihalis and his family, as well as two local amateur theatre companies monopolized our interest. 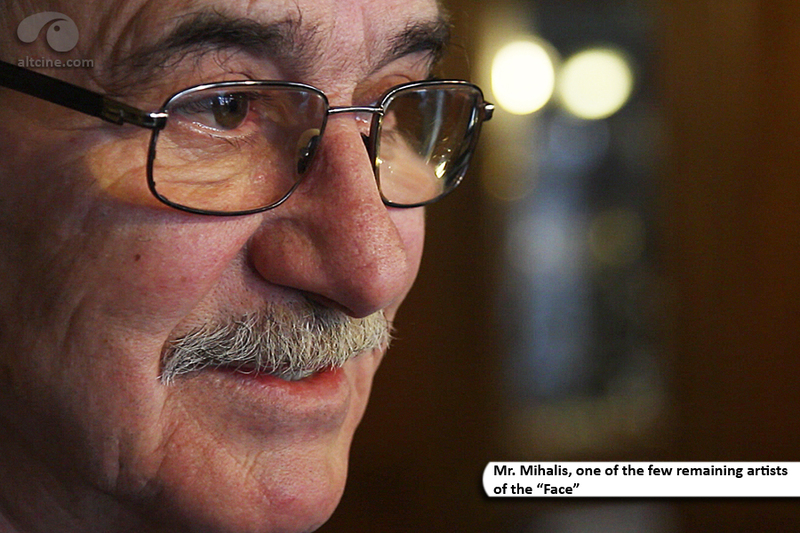 Mr. Mihalis is one of the few remaining craftsmen-artists of the “Face” (the mask a Genitsaros dancer wears). 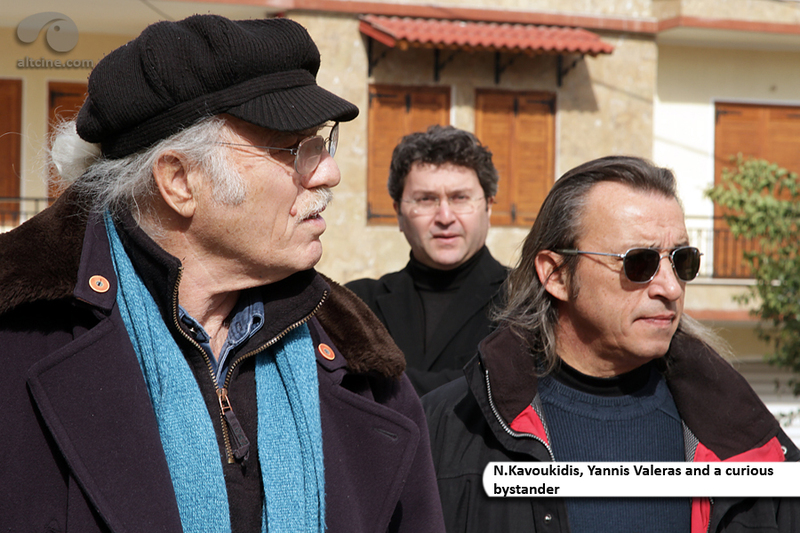 During our visit to his workshop, while enjoying the warm hospitality of his family accompanied by “coffee with a cane”**, Mr. Voulgaris mentioned his intention to include a scene in the movie, where the “Face” of his leading character is crafted by Mr. Mihalis himself at his workshop. We left the workshop with his affirmative answer to the proposal. **An expression used in Naousa when Greek coffee is accompanied by “tsipouro” (a strong distilled spirit containing approximately 45 percent alcohol by volume).